Which slogan shall we pick for our organization? I kind of like "child molestation." Dude, these are all way too good. 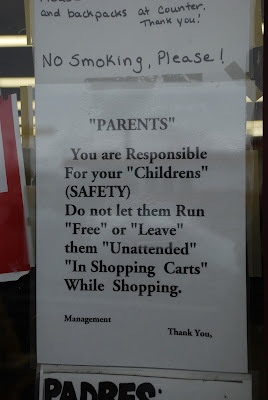 Let's put them all in quotation marks on our van. 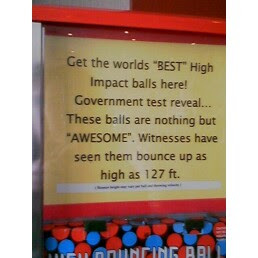 I mean, seriously, who wants balls that only have sarcastic superlatives? Evidently in New York you can sign somebody else's application for a driver's license. 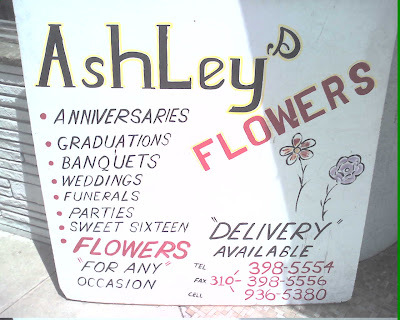 So does "delivery" mean they take the flowers halfway to your house and stop? maybe if people are going to be xenophobic they should learn to "write" their native language with punctuation that "makes sense." This sign that Tito sent me really speaks for itself. Not a single thing about it makes sense, and I love it. Mike sent it to me too. Because that's how good it is. This sign, spotted in Chicago by Eileen, is beyond weird. 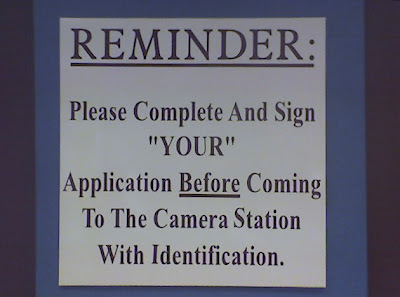 Somebody really wanted to emphasize the "a" a lot. Eric in WA sent me this one. It's like someone wrote this especially for the "blog". I can't think of any other explanation. 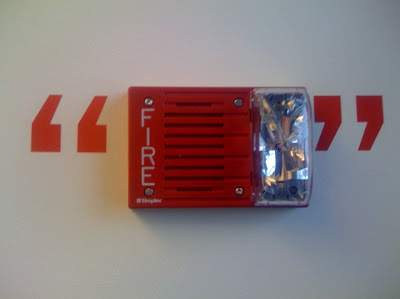 And what's the deal with the (SAFETY)? "This sign comes from a gun club (a clubhouse for men with guns who like to drink beer in the woods) in Northeastern PA."
This is classic. 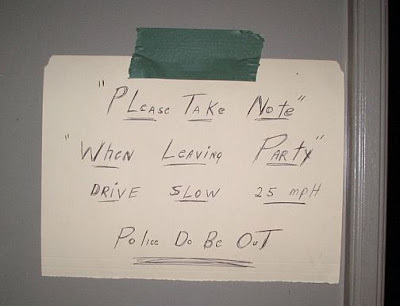 I think there are quotation marks around "when leaving party" because, I mean, if you're that fun, you ARE the party - so you never leave it. Also, the duct tape holding it up is a nice detail. Ryan found this in an office in Seattle. I don't even know what to say. 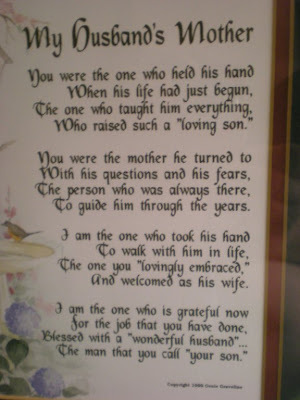 "This was a gift to my mom from my brother's wife. It would have been really sweet if it weren't so darn sarcastic." One comment, and it's almost irrelevant to the sign...but the one marked Seattle, at Geno's, "Speak English," it is actually in South Philadelphia about five blocks from my house.